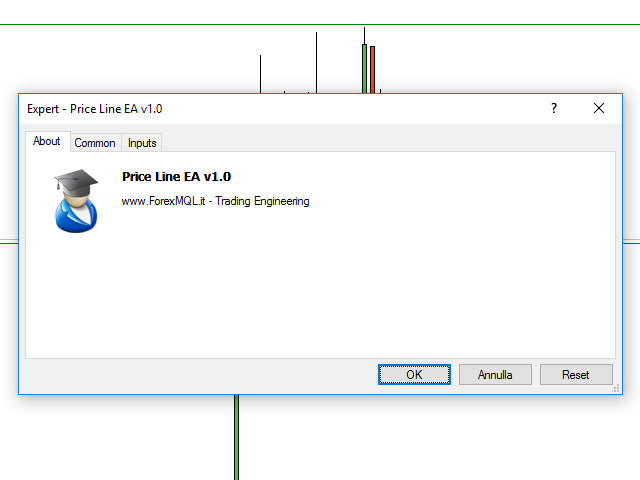 Price Line EA is an utility designed for manual trading. 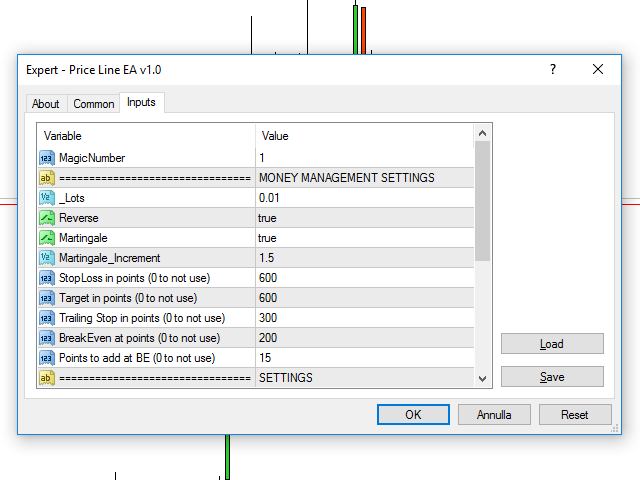 This expert advisor offers the ability to trade in automatic on your favorites levels. Default levels are created on chart when you upload the expert and after you can move them to your selected levels. When the market reaches the price levels, it opens orders. This algorithm allows an increase on risk management to grow your exposure. 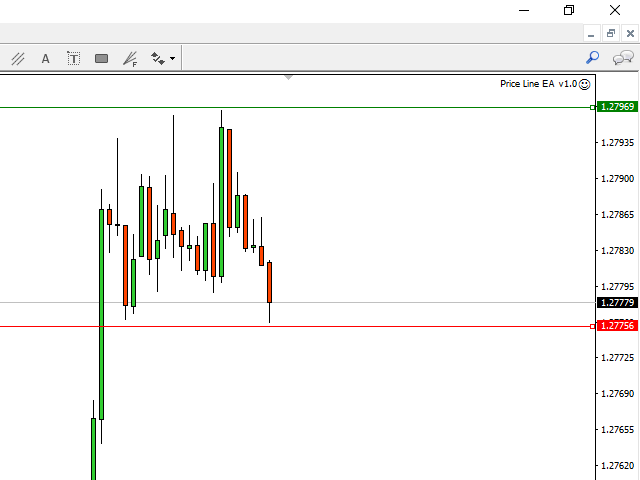 The utility opens operations with stop and reverse strategy, so place the levels on an important market range and it will work for you. It is possible to use martingale function, therefore I recommend you to use prudence. 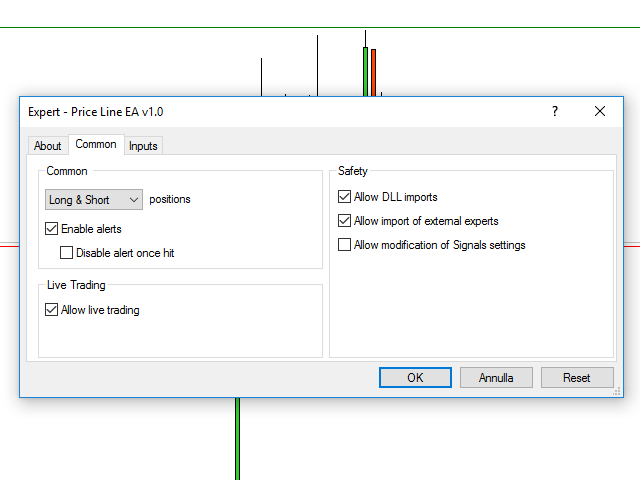 The tool is very powerful and on important market levels you will be able to act quickly by capturing excellent Trading opportunities. 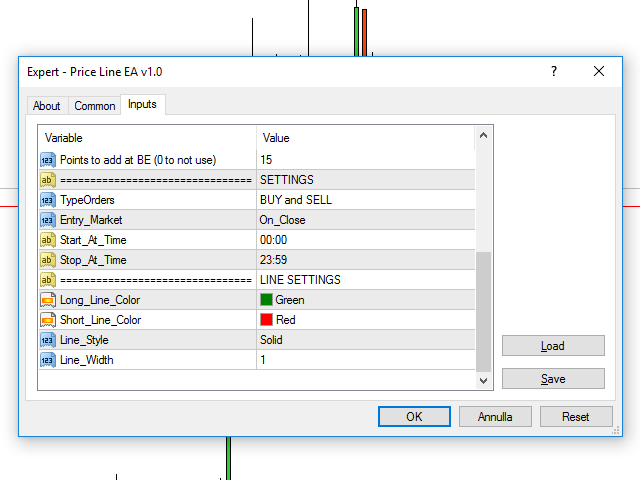 The EA starts on "No Trade" to have time to change price lines.